Bernardo Gondi was born in Florence on 4 February 1951; he attended scientific secondary school and then studied in the faculty of Economics and Business Studies. Since 1976 he has been managing the Bossi estate together with his father, Marchese Bonaccorso. Extending over 320 hectares in the Chianti Rufina wine district, the estate produces wine, olives and cereals and comprises areas for hunting and woodland. Constantly engaged in wine production, which is his passion, Bernardo Gondi was President of the Florence provincial union of farmers from 2000 to 2007. In the olive-growing sector, he was one of the founders of the consortium of olive growers of central Tuscany which produce and market laudemio extra-virgin olive oil. He is also among the promoters of the DOP (protected denomination of origin) for the extra-virgin olive oil of Florence. He is a member of the council of the Chamber of Commerce of Florence, representing farmers. He has held and continues to hold various positions within the Chamber of Commerce, including Chairman of the chemical-product laboratory. He is currently Italian President of the international association “great wine capitals”. He is also currently Councillor for the Tuscan regional section of the ADSI (Italian Association of Historic Residences), since he is the owner of important historic properties including Palazzo Gondi in Florence, and their archives. He is presently engaged in performing operations of renovation and improvement, conservation and enhancement of these properties which are considered to be part of the city’s cultural heritage. 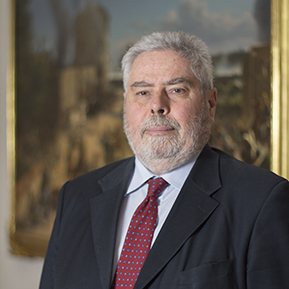 He has been a member of the Ente Cassa di Risparmio di Firenze since 1993 and a member of the Steering Committee since 2009.